EOS 7D 28-135mm from 30 feet, then cropped. 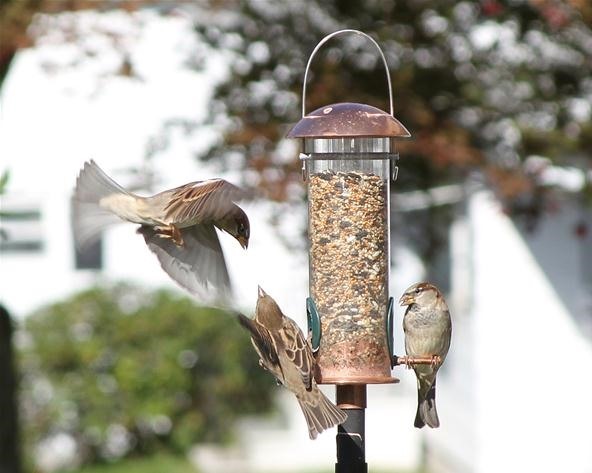 Many sparrows fighting over just two perches at the feeder. News: David Lynch Talks about Filmmaking. News: Got $25k for this lens?